At our restaurant in Dawlish we pride ourselves on offering tasty food that our guests will remember! With our Head Chef at the core of this we thought it best to speak to the man himself and find out about all the magic that happens behind our kitchen doors. 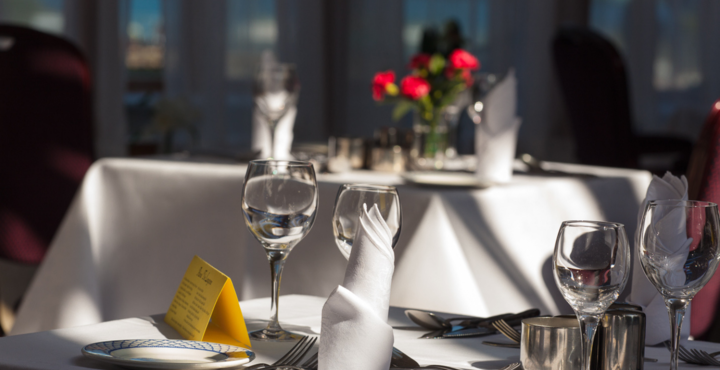 Could you tell us something interesting about Langstone Restaurant? We source most of our fresh ingredients locally. Not only is it important for us to support the local business and suppliers around us but this is a benefit, too, for cutting down on the amount of energy used to transport our products and for our consumers to feel assured they are eating quality food. We believe we are one of the most welcoming places to eat in Devon and with that title comes the responsibility to put out delicious, well-sourced food. What’s your idea of the perfect Sunday Roast? I’ve never been known to turn down a classic plate of roast lamb, roast potatoes and veg with a healthy serving of gravy. However, the roast beef is definitely the most popular amongst our guests! How many covers does Langstone serve on an average Sunday? On an average Sunday we’re looking at about 60 odd meals, however this can vary dramatically when we’re hosting groups or our private functions. Sundays are a busy day for us here at Langstone but every day is different and as a Chef, that’s what keeps me excited. Can you share any tips to our readers on how to make the perfect gravy? Nobody wants a watery gravy so I suggest roasting then whizzing up a few staple veggies such as onions and carrots and sieving them into your pan to add some extra thickness, texture and flavour – works a treat every time! What trimmings can’t you live without? For me it has to be a classic Yorkshire pudding, English mustard and horseradish sauce. I promise you these things will take your Sunday Roast from delicious to phenomenal! From beef to bakes – we really have got something for everyone at our Lincoln Restaurant. Come and experience a delicious Sunday Lunch and book into our restaurant in Dawlish today by booking online or contacting us here.